Eddyline Brewing – Buena Vista, CO. This weekend we had a chance to head up to Buena Vista, CO. Just 2.5 hours from Denver, Buena Vista is a popular destination for kayakers, hikers, skiers, mountain bikers, and people that simply enjoy visiting some of the smaller towns in Colorado. While in Buena Vista, we met with Brian England, Manager & Owner of Eddyline Restaurant & Brewery. Brian was a great host and filled us in on all the history of Eddyline, as well as the exciting growth that is in store for this proud Colorado brewing company. Eddyline Brewing started out in Socorro, NM. back in 1999. The company had a different name then (Socorro Springs), but they still had a passion for microbrews. The founders of the company thought that Colorado may be a good place to add a restaurant and microbrewery. Buena Vista, CO. was an easy choice for the ownership group as it provided excellent water, an area where people enjoy a good beer, and a nice town to settle down in. The owners of Eddyline Brewing continue to run Socorro Springs Brewing Company in Socorro, NM. If you visit Socorro Springs Brewering Company, you will be able to find Eddyline Brewing beers as well. Eddyline Restaurant & Brewery started out as a small restaurant that served its own beer, but did not distribute the beer to stores. While Eddline’s beer started to become popular with the locals, and at events throughout Colorado, the company saw the opportunity to expand. In 2009, Eddyline added a second location in Buena Vista. Now with two locations, Eddyline was poised to begin the process of increasing production, which would allow them to distribute their beer around the state. In 2011, Eddyline officially went from a local restaurant with a brewery, to a brewing company ready to reach beer drinkers throughout Colorado. 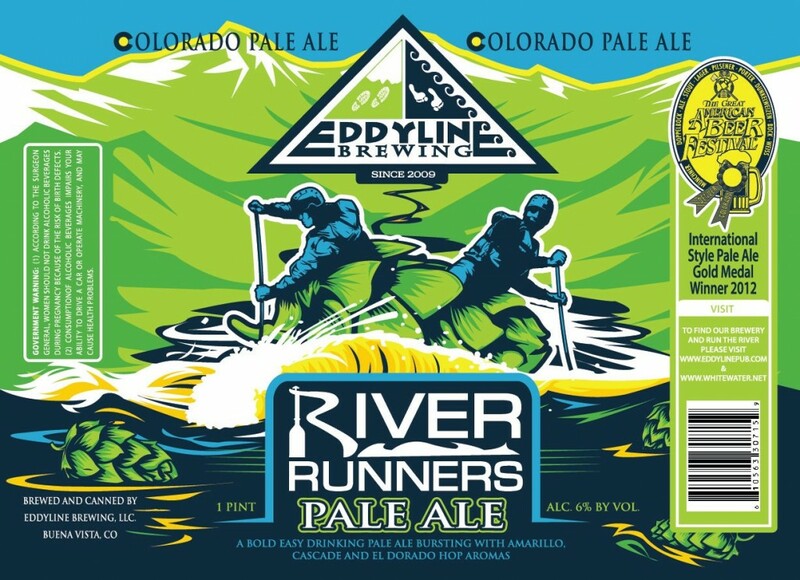 In January 2012, Eddyline Brewing began distributing their beers to stores around Colorado. By November 2012, the Denver area began to see Eddyline’s beers in several stores. If you’ve never seen Eddyline’s beers, you will not have a hard time finding them. They have come up with really great marketing and branding campaigns, that make them stand out among other brewers. Eddyline uses 16 oz. cans for their beers, and were the first in Colorado to do so. They are currently the only microbrewery in Colorado that sells their 16 oz. cans in 6 packs. Each type of beer has a unique can design, color scheme, and nickname. Below is an example of one of the new can designs (this one will not be seen in stores until some time in March, 2013). 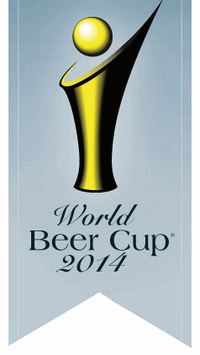 2012 Great American Beer Festival Gold Medal Winner International Style Pale Ale. Won “Best of” the last 3 years at the Telluride Blues & Brews Festival in Telluride, CO. Title Sponsor for Paddlefest in Buena Vista, CO. The water Eddyline uses is among the purest in Colorado. Due to the close proximity of the collegiate peaks, the water gets filtered by granite as it runs down the nearby 14ers, making it naturally pure. We really enjoyed meeting with Eddyline, finding out about their history, and sampling their great beers! No matter which type of beer you prefer, we’re confident Eddyline has at least one that you will love. There are plenty of different Eddyline beers to try if you can make it up to Buena Vista. If you want to buy Eddyline in the store, you’ll have 4 choices: Pilsner, IPA, Raspberry Wheat or Pale Ale. 926 South Main Buena Vista, CO. 81211. 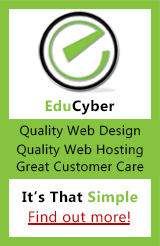 For more information, or to visit Eddyline Restaurant & Brewery, visit http://www.eddylinerestaurant.com/.